Claire is a composer and performer based in Auckland. She studied composition at Auckland University and since graduating with Honours in 2006, has pursued a career in music for concert, film and theatre. Claire is an experienced orchestrator and symphonic writer, having worked with many of New Zealand’s leading orchestras. 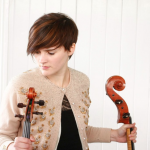 In 2008 and 2010, Claire was the youngest composer to be featured in the NZSO’s annual Made in NZ concert. Claire’s music has been performed by soloists and ensembles throughout the USA, New Zealand, Europe, Japan and Australia. Her film music has been heard in the New Zealand International Film Festival and many overseas festivals. She recently completed orchestrations for ‘The Adults’ live in performance with the Christchurch Symphony orchestra in June. In 2011, Claire collaborated on scores for Red leap theatre, the Auckland Theatre company, and for THREAD Theatre’s debut production of ‘The Keepers’. The production was awarded Metro’s ‘Best of 2011’ for Absurd Physical Theatre, with her performance being reviewed as ‘among the best theatrical scores i’ve heard.’- NZ Herald. Claire’s TV Scoring credits include “What Really Happened: Waitangi”, “Billy” and “What Really Happened: The Women’s Vote”. Her commercial clients include Sealord, Saatchi & Saatchi, State Insurance, and Air New Zealand. The APRA AMCOS NZ Silver Scrolls took place last night in Dunedin. 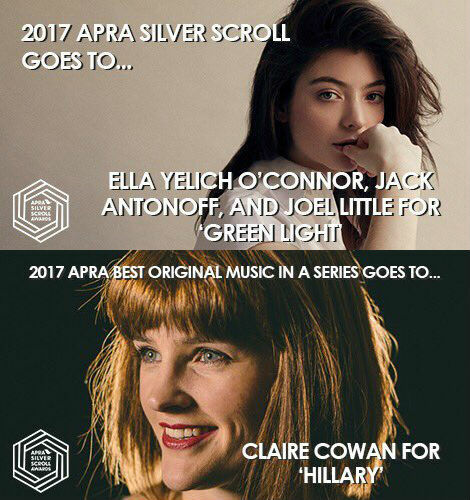 Native Tongue would like to congratulate Claire Cowan Composer for being awarded Best Original Music in A Series for ‘Hillary’, and to SONGS Music Publishing writer Lorde for taking out top honours and being awarded the Silver Scroll for ‘Green Light’. Native Tongue would also like to congratulate Aldous Harding and Pulse Publishing writer Leroy Clampitt (Chelsea Jade) for being finalists. 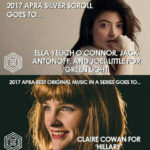 Every two years, APRA presents Professional Development Awards to three New Zealand songwriters and composers who demonstrate outstanding potential in their field. Representing three different categories: Classical, Pop Contemporary, Film & TV, each award is worth $10,000 cash, towards the recipient’s ongoing career development.These awards recognise artists who are shining lights in the world of songwriting and composition – creative, skilled, motivated, passionate, disciplined and organised. 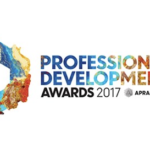 Native Tongue writer Claire Cowan has today been awarded the 2017 APRA Professional Development Award for the Film & TV category. Native Tongue writer Claire Cowan has been chosen as 2011’s ARC Artist in Residence. As the first resident composer for the program, Cowan is planning to use the time to write and record a collection of works inspired by the experience of living by the Mahurangi Harbour. There will be a public performance of the new works at the Scott Homestead at the completion of her residency. Cowan works as a professional cellist as well as well as a composer for film, television, theatre and dance.She created a 40 minute work for the dance piece “Suture” featuring live Cello with a pre-recorded electronic score, has worked on short films with director Kirsty MacDonald and Tom Reilly, has scored for advertising work, and has had her classical works performed by the Auckland Youth Symphony Orchestra and numerous solo instrumentalists. Her willingness to collaborate with other artists has created great demand for her work and made her extremely busy as a writer. This residency will allow her time and space to focus on creating new work.